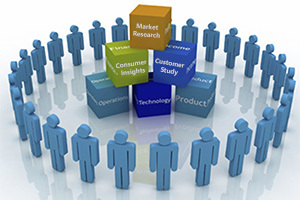 To learn more about our market research experience, you can see below some of our projects for the last 3-years period, that we divided into two groups "List of opinion polls conducted by MRP-EURASIA in different countries" and "List of B2B and B2C projects conducted by MRP-EURASIA in different countries". The first group is represented in the form of a retrospective table-list multi-country projects. The second group - a list of countries and drop-down windows with lists of projects in these countries. Many years of research work in the markets of Eastern Europe and Central Asia, has allowed us to create an extensive network of our regional presence to conduct market surveys in thousands of locations in Eurasian continent (33 countries). MRP-EURASIA is leading provider of face-to-face market surveys. As independent market research experts, you can rely on us for unbiased historic trends and forecasts for every region, country, category, channel and consumer. Our innovative market research products make MRP-EURASIA as an essential "market data" resource for every customer. MRP-EURASIA's extensive network of regional "in-country" analysts and fieldwork personel provides the depth of local business information required in today’s international business environment. Our global industry specialist teams ensure the international consistency of our research.